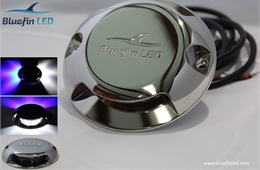 Bluefin LED underwater lights are suitable for all types of boat and yacht, quality assured and maintenance free. Click below to explore our product range. Our award winning Dock Lights can be used as a safety feature or to showcase the natural beauty of the marina,dock or water feature. Boat lights for above & below the water line. 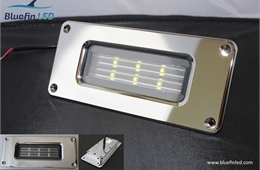 Check out our range of precision engineered courtesy lights, 316L Stainless Steel with unique interchangeable bezels, the perfect addition to showcase your boat. 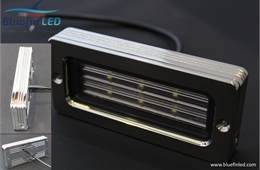 Bluefin LED leading the way, the most powerful LED underwater lights on the market at a sensible price. Video showing the dramatic effect of BluefinLed Docklighting enhancing your shoreline experiance. Why not visit our gallery to see more.